The biggest Subaru ever offers more than just extra space. Subaru recently found itself in the same position as Quint, Brody, and Hooper in Jaws: it needed a bigger boat. Or, rather, Subaru needed a bigger crossover SUV to accommodate larger families that were outgrowing their Foresters and Outbacks. 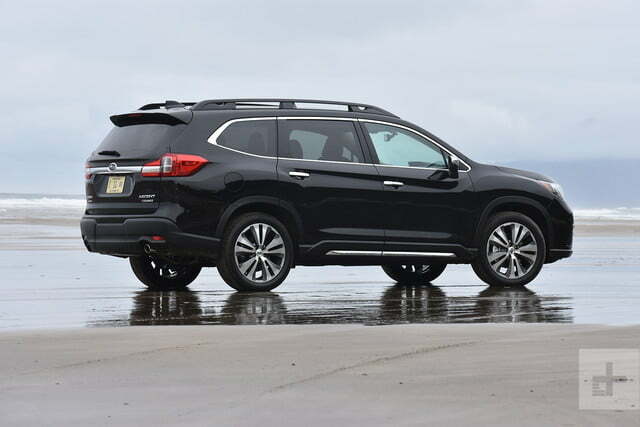 As the Japanese automakers’ largest-ever production model, the 2019 Subaru Ascent hopes to fill that niche. 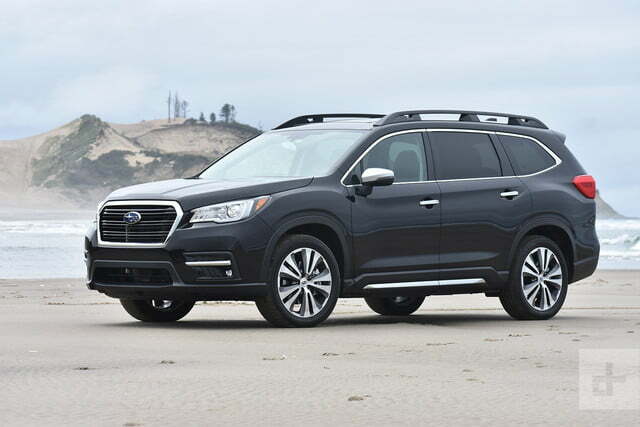 The Ascent brings Subaru back into the lucrative midsize crossover market for the first time since the ill-fated Tribeca went out of production in 2014. Over the intervening years, the segment has become bloated with vehicles ranging from the American Ford Explorer and Chevrolet Traverse, to Japan’s Honda Pilot, Toyota Highlander, Mazda CX-9, and Nissan Pathfinder, to the Korean Hyundai Santa Fe and Kia Sorento. Volkswagen also recently joined the party with its Atlas. Subaru has its work cut out for it. When it hits showrooms within the next month, the Ascent will be offered in four trim levels: base, Premium, Limited, and Touring. The base model starts at $31,995, but we sampled a fully loaded Touring model with a sticker price of $44,695. That’s a lot of money for a mainstream family vehicle, but it does buy a lot of equipment, including a panoramic moonroof, 8.0-inch touchscreen infotainment system, 14-speaker Harman/Kardon sound system, and a host of driver aids. 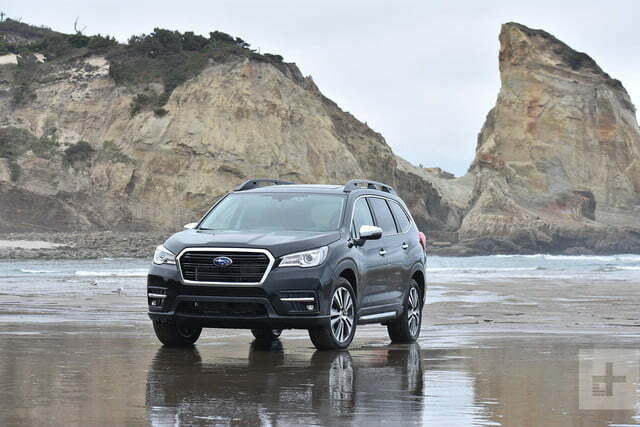 Subaru’s main motivation for building the Ascent was to offer an SUV with three rows of seats that could keep buyers from jumping to other brands. The Ascent is available in eight- or seven-passenger configurations, the latter substituting a pair of captain’s chairs for the bench seat in the second row. 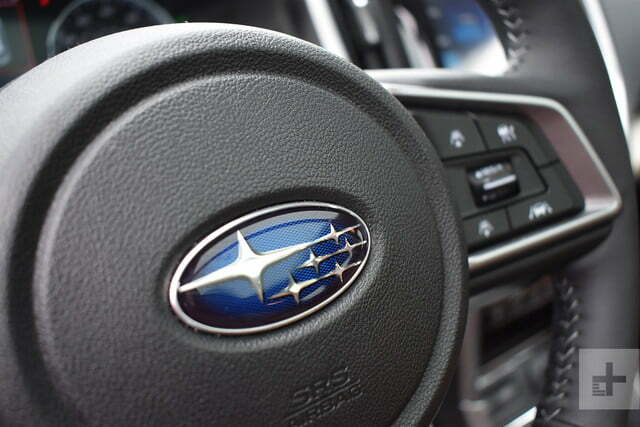 Unlike some of its competitors, Subaru offers a choice of either layout at no charge on all trim levels. Vehicles like this primarily serve as boxes for carting around people and stuff, and the Ascent offers plenty of room for both. At 153.5 cubic feet, it has more interior passenger volume than a Toyota Highlander, Ford Explorer, and Honda Pilot, but not as much as a Nissan Pathfinder, Volkswagen Atlas, or Kia Sorento. The Subaru also offers more cargo volume than most competitors with both the second and third rows in place of stowed, although the VW does offer more. On the road, those numbers translate into an interior that’s decently comfortable, but not luxurious. The quality of interior materials is fairly good for a car starting around $30,000, but fell short of what we consider adequate for a car wearing the nearly $45,000 price tag of our Touring tester. The leather upholstery on this trim level was fine, but the wood trim and other elements felt cheap. Leather upholstery on the Touring trim level was fine, but the wood trim and other elements felt cheap. The front seats (heated and ventilated on Touring models) were comfortable, and the first row felt spacious and roomy. However, the second-row seats felt a bit cramped, and the third row is best reserved for children only. 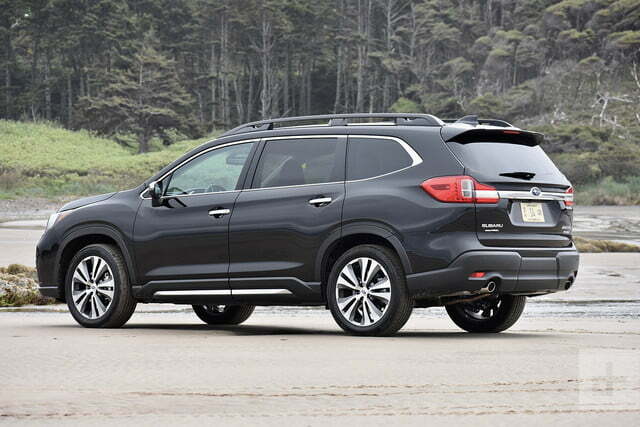 While space is unevenly distributed, the Ascent’s 19 cupholders ensure everyone will have a place to put a drink. Subaru admits that this is more cupholders than is strictly necessary, and expects owners to use them to store other things besides beverages. The Ascent comes standard with a 6.5-inch Starlink touchscreen infotainment system that includes Apple CarPlay and Android Auto. Higher-level models get an 8.0-inch screen, navigation, and a built-in Wi-Fi hotspot that can support up to eight devices. Four USB ports are standard, but the Ascent can be had with up to eight. 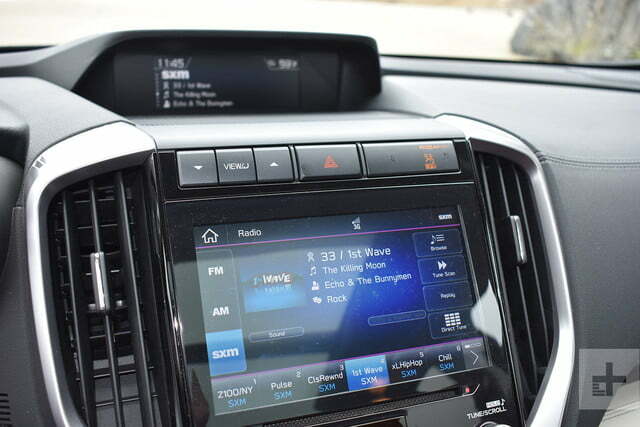 Subaru’s StarLink infotainment system lacks any notable bells and whistles, but it performs basic functions like phone connectivity well. We also appreciate that Subaru kept analog controls for functions like climate control and seat heating/cooling. Our test car was equipped with the optional 14-speaker Harman/Kardon sound system, which provides impressive sound quality. 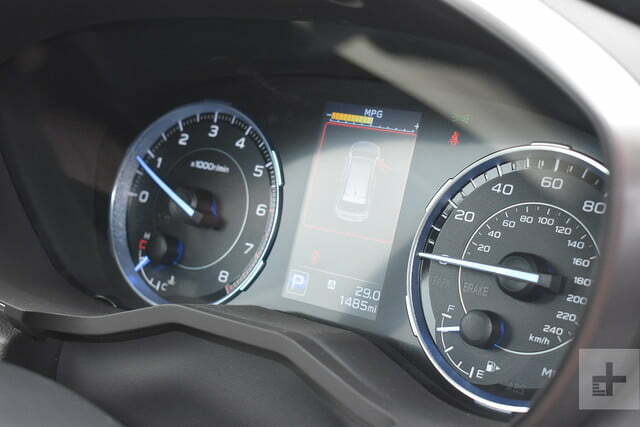 The Ascent comes standard with Subaru’s EyeSight system, which uses two cameras mounted near the rearview mirror to enable a number of driver aids. 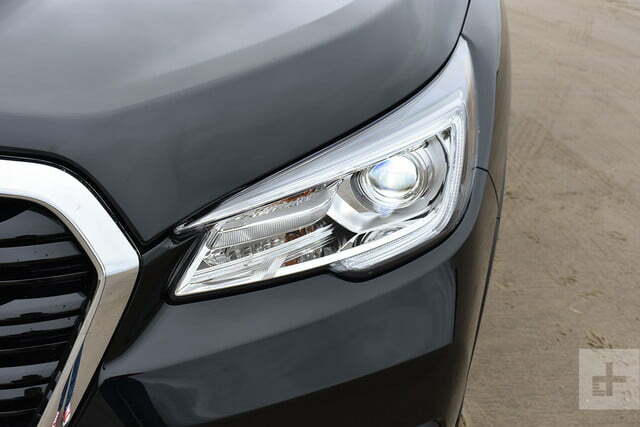 Standard EyeSight-based features include adaptive cruise control, autonomous emergency braking, lane departure and sway warning, and a head-up display that shows safety-related warnings and messages. Blind spot monitoring with rear cross traffic alert reverse automatic braking, and headlights that turn with the steering wheel are optional extras. The top-of-the-line Touring model also gets a front-mounted camera and a streaming-video rearview mirror. Similar to the ones already offered on certain General Motors and Nissan models, the rearview mirror displays feed from a rear-mounted camera, so the driver can see what’s behind without having to peer around pillars or passengers’ heads. It’s a straightforward feature that should prove handy in everyday use, and drivers can switch to a conventional rearview mirror with the push of a button. The Pacific Northwest is a strong bastion of Subaru loyalty, so it’s not surprising that Subaru chose the town of McMinnville, Oregon, as the location of our test drive. The drive happened to coincide with McMinnville’s annual UFO Festival (inspired by alleged alien encounters in the area). We didn’t see any UFOs, but the Ascent would have been up to the job of chasing them along local roads. 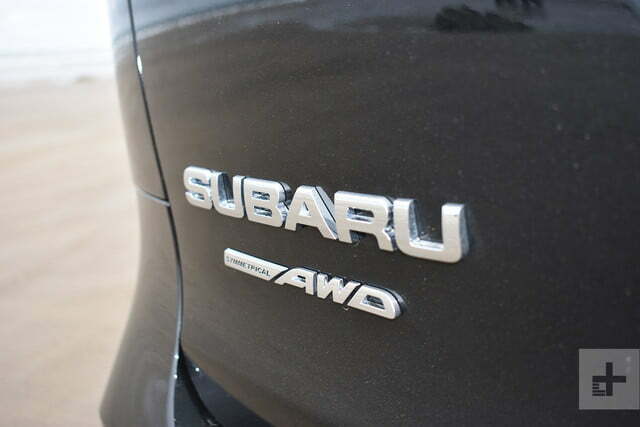 The Ascent’s powertrain is typical Subaru. 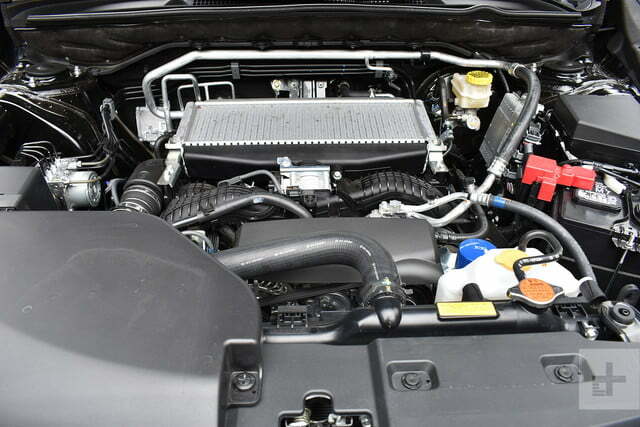 The all-new 2.4-liter turbocharged four-cylinder engine features the same flat “boxer” configuration as the automaker’s other engines, and the continuously variable transmission (CVT) and standard all-wheel drive are typical Subaru fare as well. Subaru was quick to note that a boxer engine allows for a lower center of gravity, which improves handling. The engine’s 260 horsepower is a bit less than most rivals offer, although its 277 pound-feet of torque is more competitive. However, most competitor midsize SUVs (the Mazda CX-9 being a notable exception), use larger V6 engines to achieve those power figures. Some automakers only offer less-powerful four-cylinder engines in base models, and sometimes charge extra for all-wheel drive as well. That makes the Ascent a pretty good value. The Ascent handled twisty back roads much better than an SUV of this size should ever be expected to. Handling was admirably neutral, although like scores of other modern cars, the Ascent was plagued with numb steering. The suspension kept body roll under control, but did not compromise ride quality. The turbocharged engine delivers its power in a completely uninteresting way, but that power is always available when you need it. Passing and merging was a breeze. The Ascent handled twisty back roads much better than an SUV of this size should ever be expected to. 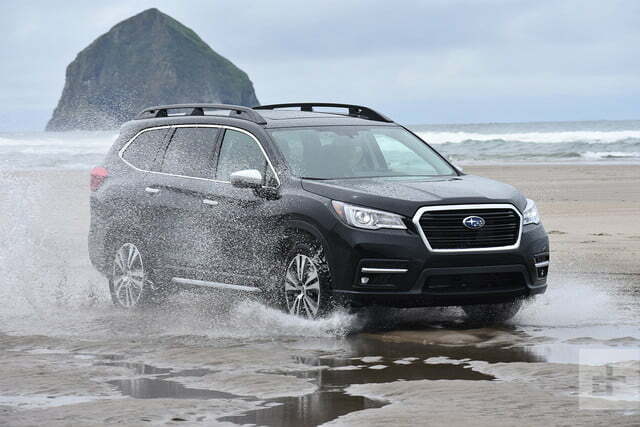 Most Ascent owners will never take their vehicles off road, but Subaru did build in a respectable 8.7 inches of ground clearance and an “X-Mode” for the all-wheel drive system that retunes the ECU and throttle for off-road driving, and adds hill-descent control. Land Rover and Jeep have nothing to worry about, but Ascent scampered over some piles of rocks on a short off-road course set up by Subaru without issues. Subaru promises a maximum tow rating of 5,000 pounds, which puts the Ascent near the top of its class (the Nissan Pathfinder can tow up to 6,000 pounds). A “Trailer Stability Assist” system meant to counteract trailer sway is standard, and the hitch is hidden behind a removable panel in the rear bumper. Subaru also notes that the roof rails are designed to handle roof-mounted tents. EPA fuel-economy ratings for the Ascent are 23 mpg combined (21 mpg city, 27 mpg highway) for the base Premium trim levels, and 22 mpg combined (20 mpg city, 26 mpg highway) for the Limited and Touring models. The difference is due to the added weight of the latter two trim levels. Insurance Institute for Highway Safety and National Highway Traffic Safety Administration crash-test ratings are not available at this time. 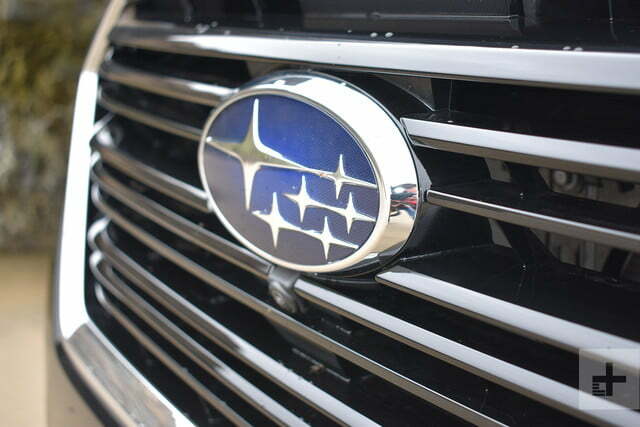 Subaru offers a three-year, 36,000-mile basic warranty and a five-year, 60,000-mile powertrain warranty. 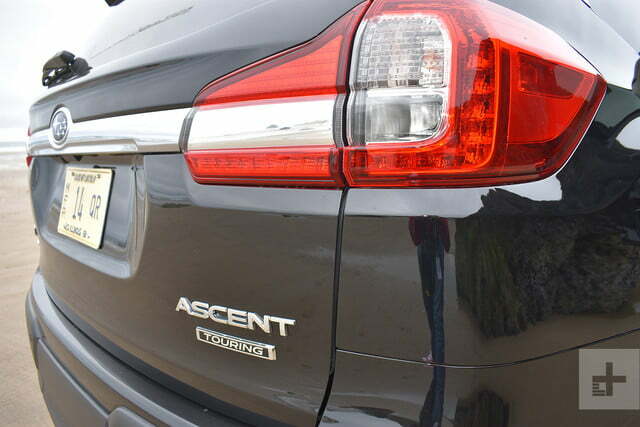 Because the Ascent is an all-new model, it is difficult to predict reliability. While its price is bordering on luxury-car territory, the Ascent Touring model includes the most tech features, so that’s the one we’d get. 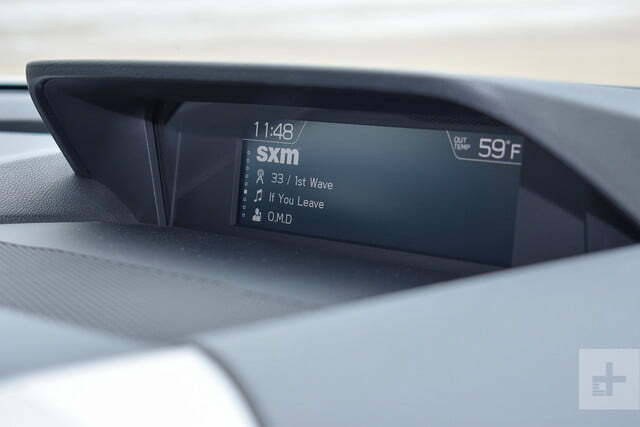 The streaming-video rearview mirror is specific to this model, and the Touring also includes the greatest array of driver aids. 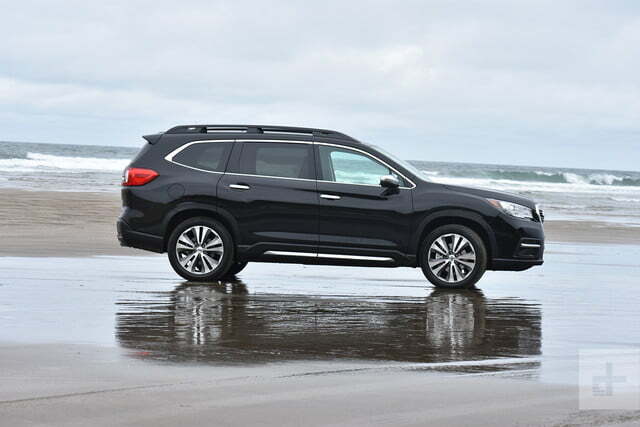 The 2019 Subaru Ascent is a strong new effort in a competitive segment. 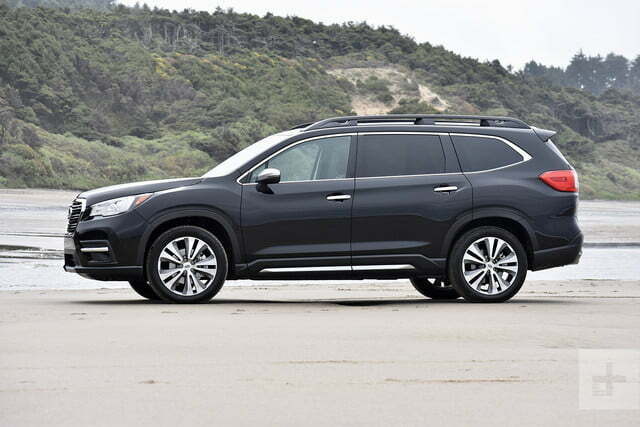 Impressive driving dynamics should help the Ascent stand out from the midsize SUV crowd. 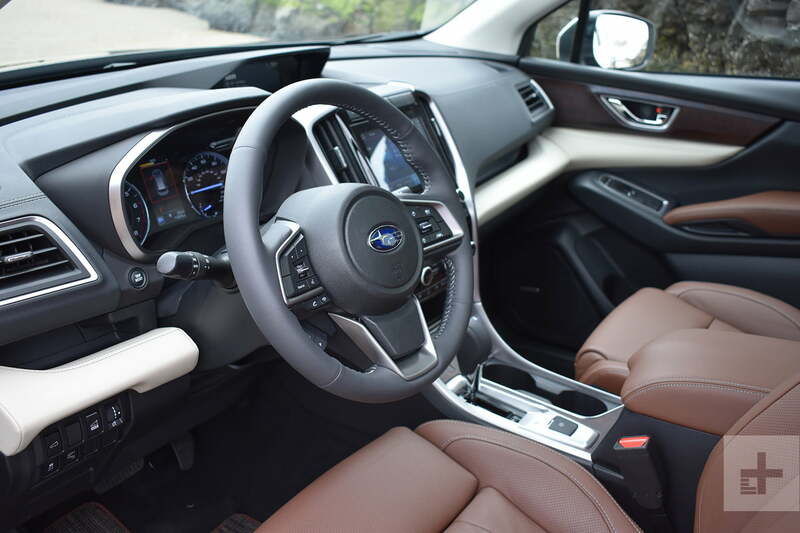 The Ascent also has a wider array of tech features than other Subarus, pushing the brand in a new direction. 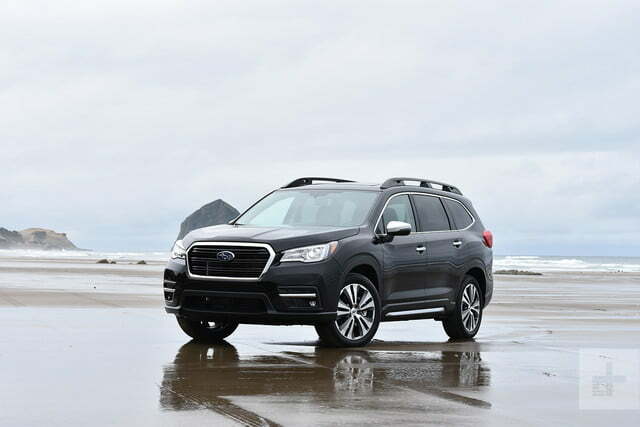 It may have been designed for current Subaru owners looking for a bigger vehicle, but the Ascent should be on every family SUV buyer’s shopping list.